Can you believe it is only 2 weeks from 2014? Yeah… me either! New Year’s Eve is right around the corner, I figured it was time to make sure you got this sweet little free printable printable to fill the void after Christmas ends with all sorts of festive New Year’s goodness. 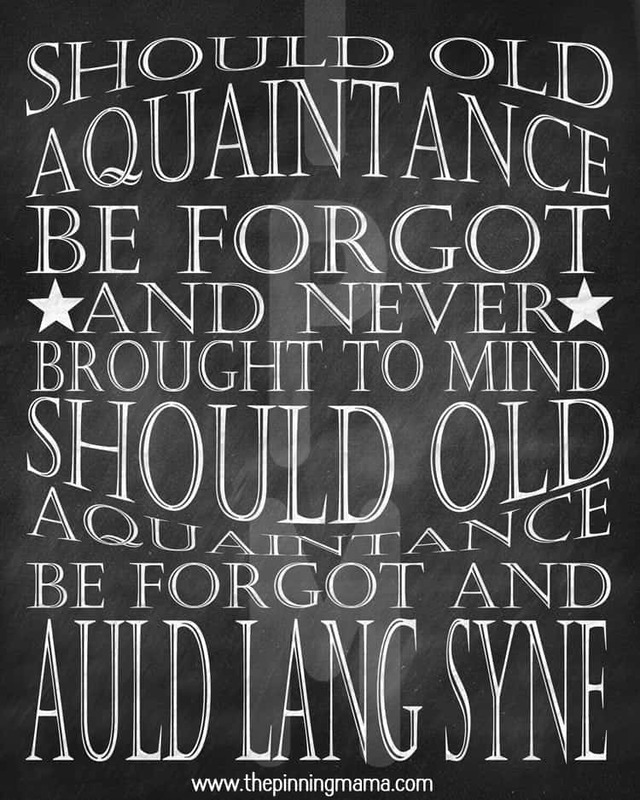 Can’t you just hear Auld Lang Syne playing in the background? To get this free printable all you have to do is sign up for our e-mail list where it says subscribe right over there in the sidebar. You will get an e-mail shortly with this fab free printable as well as five others! Easy Peasy! We are happy to bring you lots and lots of freebies (you can see them all here) and to say “Thanks Friend!” we would love you to help us share them by pinning it, or sharing it on your Facebook wall, Google + page, or Twitter feed! Thanks so much for the love! Here are some more awesome printables, click here to see how to get them all! « My Favorite Picks From Kirkland’s in Honor of Their GRAND OPENING in Las Vegas! I have signed up for your free printables with two different accounts and I’m not finding the link to the free printables. Please help! THANKS!